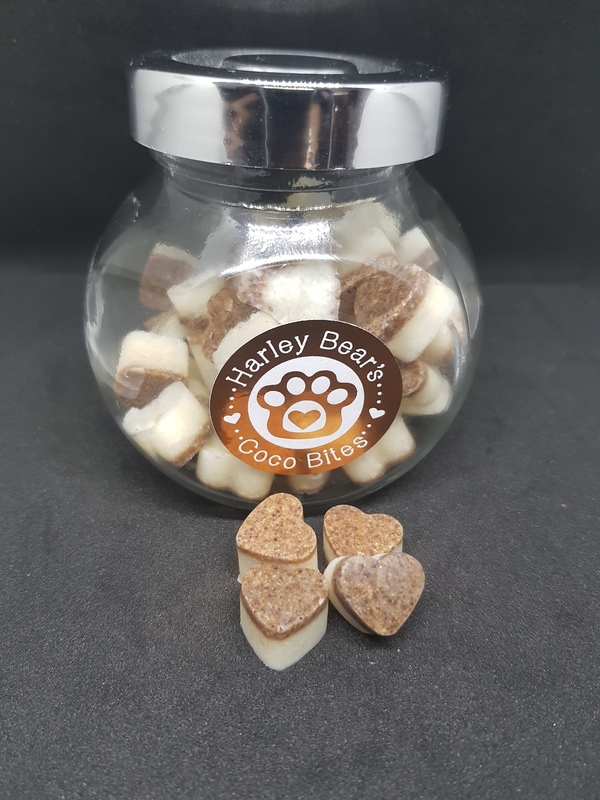 55 mini calming hearts in a glass jar with a silver screw top lid. 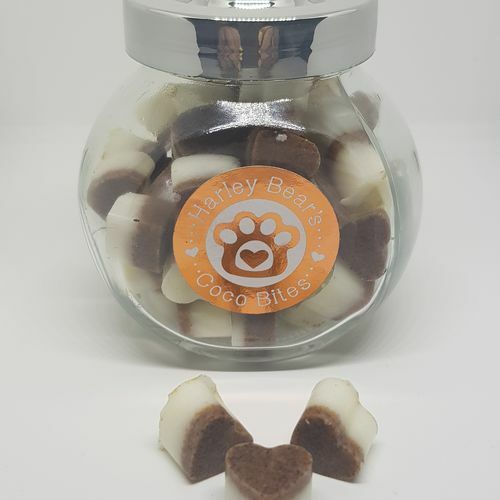 This mix of coconut oil, Star of Bethlehem, Rock Rose, Cherry Plum, Impatient & Clematis helps calm stressed pups - ideal for dealing with the dreaded fireworks, thunder storms, trips to the vet or car journeys! 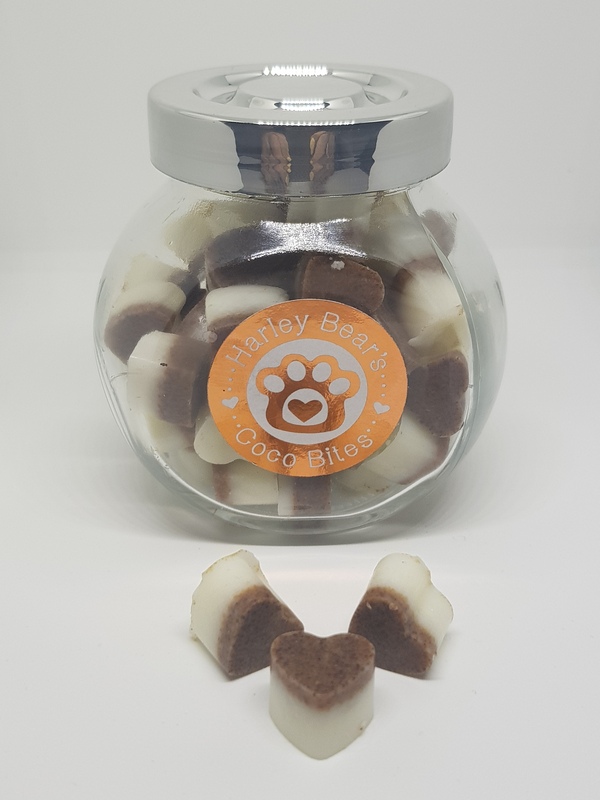 We recommend 2 hearts as soon as the fireworks or thunder begins or half an hour before car journeys, vet visits etc. then 2 more half an hour later. 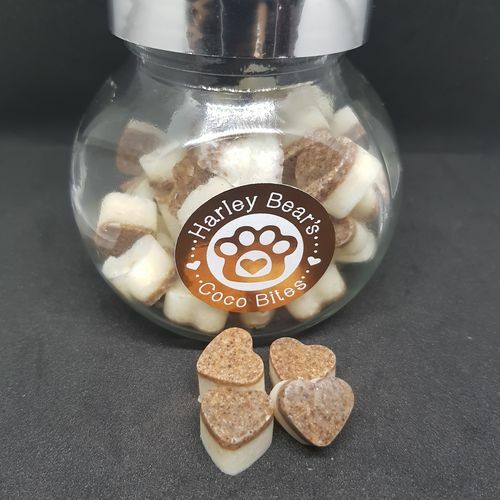 If you are using these before a vet visit, please inform the vet of the amount of hearts given. Orders are shipped out on Mondays. If you require a different shipping day, just let us know.